Josh was born in Madison County, N.C., and went to school at UNC Asheville, earning a degree in biology. 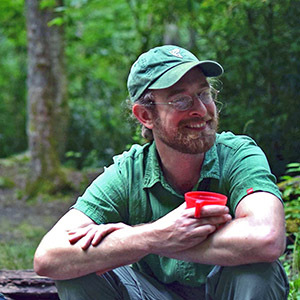 He then worked for the Southern Appalachian Forest Coalition, where he focused on identifying remnant old-growth forests on public land, and at WildLaw, where he worked to promote ecological restoration as the new paradigm of National Forest management. Josh has also helped the Forest Service conduct rare plant surveys and save hemlocks from the hemlock woolly adelgid. At MountainTrue, Josh monitors logging and development issues on public land and provide site-specific scientific information to promote ecological restoration and oppose ecologically-damaging management.